If I had to pick the most annoying insect in Illinois it’d be Harmonia axyridis. This lady beetle was introduced to our continent as a control agent for aphids but became a pest in its own right. 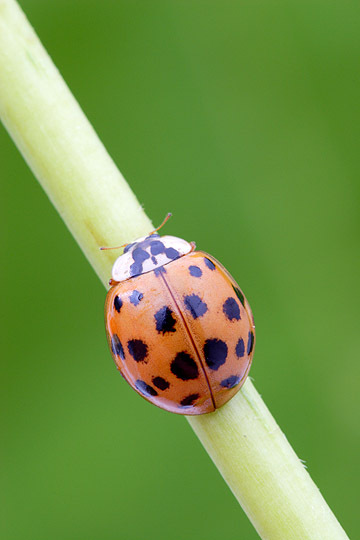 It consumes not just aphids but all manner of other insects, including beneficials like native lady beetles. Swarms of them descend into our houses in the fall. They get just about everywhere. They have a noxious odor. And they bite. 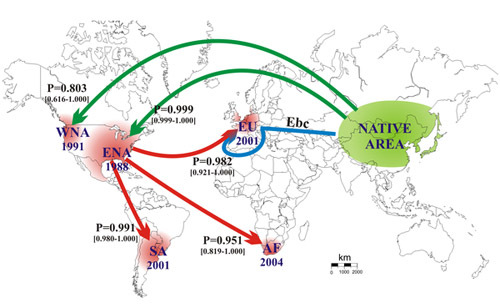 Figure 1 from Lombaert et al 2010 showing the most likely path of introductions of H. axyridis. The authors call this result “surprising”, but I disagree. 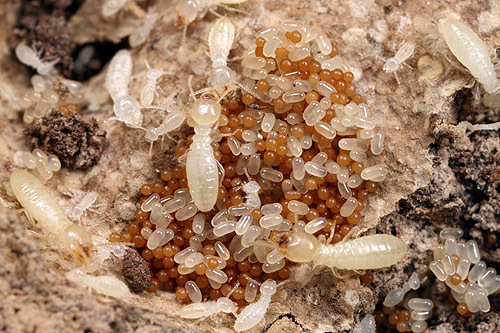 If a pest builds to enormous numbers in a region that sees a lot of commerce, exports of that pest may become much more likely than exports from the native range. Especially if native populations are kept down by predators and competition. We see this in ants all the time. The invasive Argentine ants in California arrived from an earlier invasion to the eastern U.S., not as a separate colonization from Argentina. Fire ants in Australia appear to be from the United States, not South America. In any case, it’s an interesting and timely study. Now, if they could just figure out where I can send the beetles in my house so they don’t come back, that’d be really valuable. 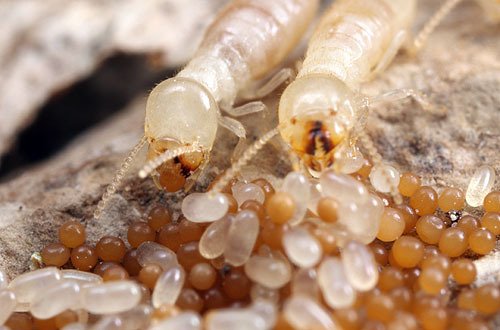 If I were to mention an ant-fungus mutualism- that is, an ecological partnership between an ant and a fungus that benefits both- most biologically literate people might think of the famed leafcutter ants and the edible mycelia they cultivate. But that is just one example. A larger view of the same nest. The intricate galleries are made from fungal mycelia growing through a matrix of ant-chewed wood pulp. Minor workers of the seed harvester Pheidole spininodis (left) and the predatory Pheidole bergi lock jaws in combat. Jujuy, Argentina. Pirk et al examined the diet of both Pheidole species in the Monte desert of Northern Argentina. Why would someone spend time doing this? Ants are important dispersers of seeds, and these Pheidole are two of the most abundant seed-eating ants of the region. What they do with the seeds, which ones they choose to take, and how far they take them has implications for the ecology of the desert.